A contiguous 48-acre jewel at the corner of Oakville Crossroad and Silverado Trail. Partly fermented in concrete eggs, partly in oak and stainless steel barrels, this Sauvignon Blanc contains 13% Semillon and 7% Sauvignon Gris. 533 cases made. 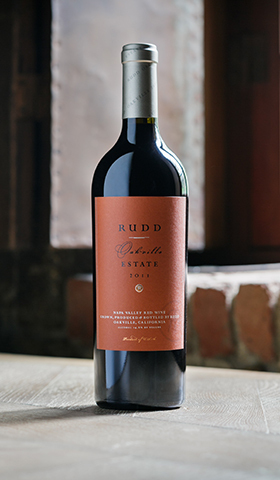 Made from a selection of the best grapes grown on the estate’s organically farmed, red volcanic soils this great vintage was aged 26 months in new oak: 63% Cabernet Sauvignon, 22% Cabernet Franc, 8% Petit Verdot, 7% Malbec.